Many homes and commercial buildings in New Jersey rely on a sump pump in the basement or other low-lying areas. Sump pumps provide crucial protection against flooding, keeping the lowest areas of a building dry and draining excess water and moisture safely away into the drains. If your home has a basement, you probably have a sump pump installed. But have you ever wondered how a sump pump actually works? In this post, we’ll explain how sump pumps work to protect you home from basement flooding. At A1 Sewer & Drain Services, we’re experienced local plumbers specializing in drainage and sewer services in NJ. We’re always available for fast, reliable sump pump repair and installation. To find out more, or for sump pump service in as little as 45 minutes from your call, call us today at 201-645-0888. According to the American Society of Home Inspectors, over 60% of homes in the United States suffer from some degree of below-ground wetness, often affecting basements and crawlspaces. Basement flooding can cause thousands of dollars of water damage. Sump pump installation is a cost-effective means of preventing expensive water damage that can compromise a building’s foundation– the price to install a sump pump is far, far less than the potential expense of repairs for basement flooding. 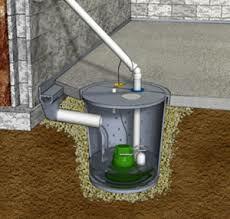 Sump pump installation service is provided by sewer service contractors in New Jersey. 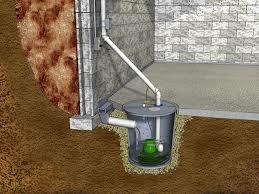 The sump pump itself is installed in a sump pit, a hole with gravel base. The pit is generally about two feet deep and 18″ wide. When water enters the basement, it flows into the pit. Float switches or a pressure sensor detect the water level in the pit, and when it reaches a certain height, they activate the pump, sending the water away into a drain pipe. 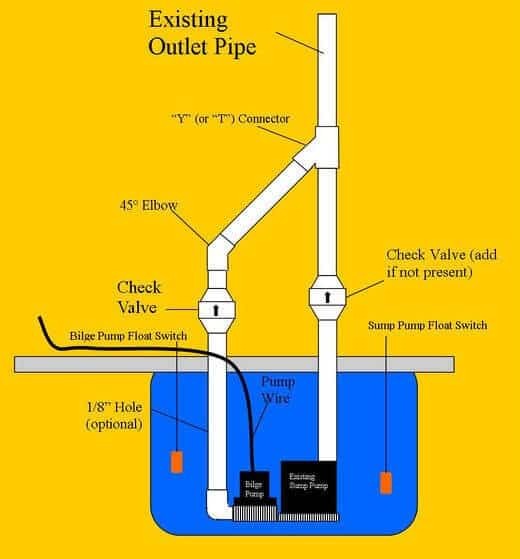 The drainage pipe for the sump pump is equipped with a check valve that stops water from flowing in the wrong direction. The sump pump itself is a centrifugal pump, which turns via an impeller. The centrifugal force generated by the spinning impeller forces water toward the sides of the pipe, creating a low pressure zone in the center. Water in the sump pit flows into the void created by the impeller, and is pushed away through the drain pipe. There are two main sump pump designs: submersible pumps and pedestal pumps. Submersible sump pumps are submerged in the sump pit, encased in a waterproof housing. The bottom is covered with a grate, keeping out debris that could clog the drainage pipe. Pedestal sump pumps are elevated above the sump pit. 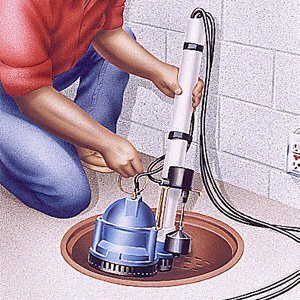 Pedestal sump pump installation is usually less expensive than submersible models, but they tend to be noisier. Both submersible and pedestal sump pumps have many options available. For sump pump installation in New Jersey, you’ll want to choose a model that fits both your needs and your budget. Manual vs automatic. Manual sump pumps are available, but automatic sump pumps are far more convenient. Horsepower. 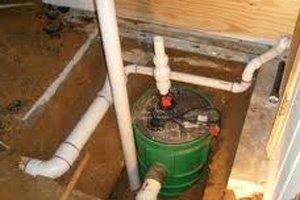 Sump pumps usually have anywhere from 1/4 to 1/3 horsepower. Those with more powerful motors will pump more water faster, but may not be necessary if your basement moisture problem is fairly minor. Head pressure. Head pressure is the height to which the sump pump can raise water out of the sump pump and into the drainage pipe. Cord length. Sump pumps should be plugged directly into a GFCI outlet, not into an extension cord. You’ll want a cord long enough to reach the outlet nearest to the sump pit. Alarm systems. Many sump pumps are equipped with an alarm system, alerting you to rising water levels. Backup sump pumps. Because sump pumps are electrically powered, they can fail during a storm, leaving your basement at risk of stormwater flooding. A battery-powered backup sump pump can operate during a power outage, and many homeowner opt for backup sump pump installation in case of a severe weather emergency that could cause flooding. Hybrid models are also available, which have a backup battery in case the power goes out. We’re always available for same-day service for sump pump repair, sump pump installation, and more. If you have a sump pump emergency or are just thinking about installing a sump pump call us any time at 201-645-0888.